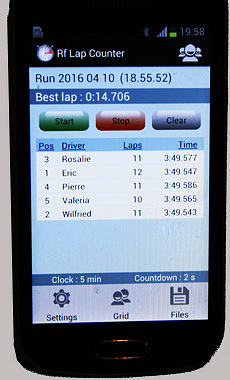 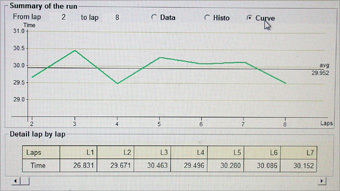 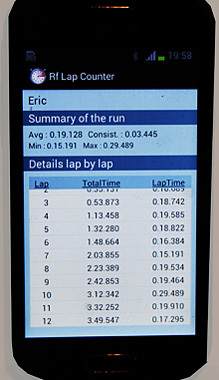 The application 'Rf Lap Counter' can be downloaded and installed from the play store android. 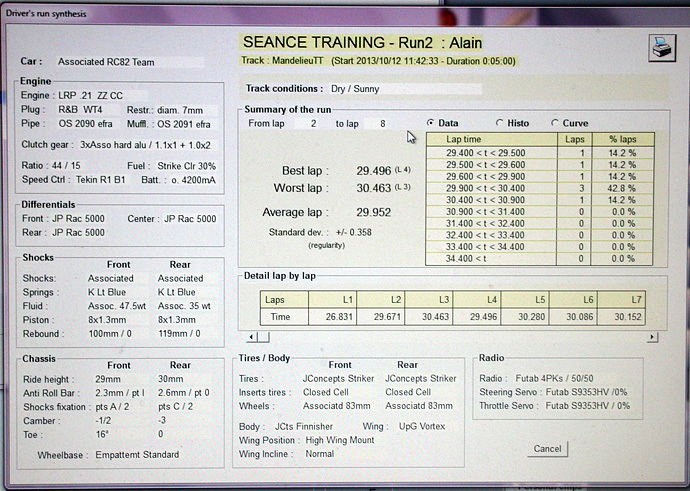 - Possibility of exporting the runs to the software 'Rf LapC Training' for analysis. 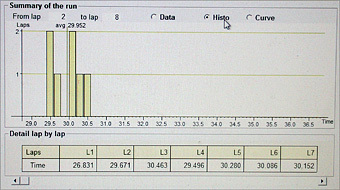 'Rf LapC Training' is a software from our range that allows to realize training sessions and tests of cars settings.